Meets every Wednesday 7-8:30 pm at Retreat House on the corner, 8001 46 St N, Pinellas Park, FL 33781. 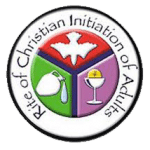 RCIA is the process by which an unbaptized person, a person baptized in another Christian faith, or a baptized Catholic needing the Sacraments of Confirmation and Holy Eucharist become fully initiated members of the Roman Catholic Church. Anyone interested in this process needs to attend every weekly session and related activities, as well as take part in special Rites as students move from one stage to the next. Rites usually take place at a Sunday Liturgy during the seasons of Advent and Lent, and education/training is usually a one year process. The Catholic Church also open-heartedly welcomes back all Catholics who have received instruction and celebrated the Sacraments of Baptism, Reconciliation, Holy Eucharist and Confirmation but have fallen away from the practice of their faith. For more information, please call the Faith Formation Director at our office (727) 541-4447 or email StephenPDouglas@gmail.com or contact Father Daniel. If you wish to become a member of the “RCIA Team,” serving as a Sponsor, Facilitator or Welcomer, requirements are to be a practicing Catholic and a person who is committed and willing to walk on a JOURNEY of FAITH alongside candidates who need support, guidance and witnessing of what living and practicing faith as taught by the Catholic Church looks like in practical living. 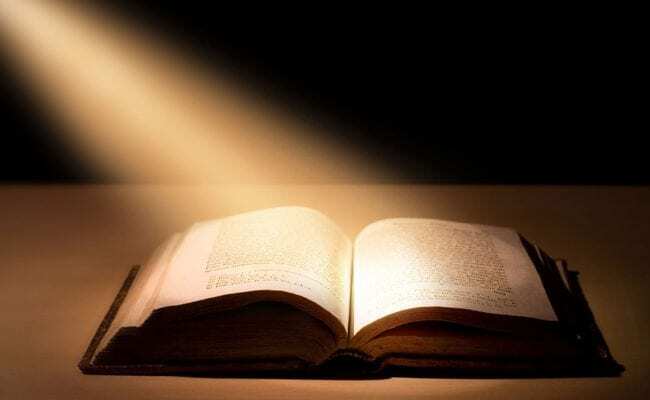 Bible Study is a spiritual renewal process designed to assist adults in their understanding and love of Holy Scripture. In reading and discussing Biblical texts, adult students develop a greater appreciation of the impact of the Word on their faith life as Baptized Christians in today’s world. Please check our Bulletins for up and coming studies. This is a program offered by Sacred Heart Church to help bring all people closer to God and to foster fellowship among parishioners. It consists of a weekend spiritual retreat which is offered periodically throughout the year. These retreats are scheduled separately for women and men. Participants in these retreats also attend bi-weekly follow-up sessions to give witness, refresh, and strengthen the benefits of this significant faith experience. One of the key objectives of this program is to develop good Christian friends with whom we can share our faith journey. Christ Renews His Parish (CRHP) is a spiritual renewal process designed to bring members of our parish together in Christ. This renewal process has a clear focus on the Gospel and emphasizes continued growth in Christian life through scripture study, prayer, the sacraments, and fellowship with members of our parish community. CRHP offers an opportunity to step back from daily life and re-examine our Christian, Catholic commitment to the teachings of Jesus. It begins with a renewal weekend at the parish (one weekend for men, one weekend for women) that runs from Saturday morning through Sunday afternoon. The renewal weekend is open to all Sacred Heart parishioners who are at least 18 years of age. Renewal weekends are ongoing and given for parishioners by parishioners. After the renewal weekend, participants have the opportunity to put on the next weekend, (for the following group of parishioners) and participate in a team formation process that includes bi-weekly spiritual meetings. CRHP is designed for anyone seeking spiritual renewal and an opportunity to deepen their faith and sense of purpose within the parish community. What is it the Legion of Mary? The Legion of Mary is the largest apostolic organization of lay people in the Catholic Church, with well over 3 million active members in almost every country of the world. 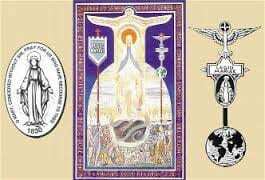 It has been active in the United States since 1931, has been approved by the last six Popes and endorsed by the Second Vatican Council. The main purpose of the Legion of Mary is to give glory to God through the sanctification of its members. What does it do? Members become instruments of the Holy Spirit through a balanced program of prayer and service. Works include door-to-door evangelization, parishioner visitation, prison ministry, visitation of the sick or the aged, crowd contact, religious education, visiting the newly baptized, Pilgrim Virgin statue rotations, and meeting the other spiritual needs of the parish community. Legionaries are under the guidance of a spiritual director named by the pastor. The Legion is, in essence, an extension of the heart and hands of the pastor. How does it work? Join us at our next meeting! We meet on Monday mornings after the 9 am mass, in our own room behind the sanctuary altar. All women of the parish are encouraged to join this spiritual and service group. Please contact the Parish Office at (727) 541-4447 for more information, and visit the Legion of Mary international organization http://www.legionofmary.org. Gathering of Catholic Men for praying and fellowship. Meetings are held the fourth Friday of every month at 7:00 pm in the Retreat House. Sacred Heart Interparochial School is a vital ministry of Sacred Heart and Transfiguration Parishes. Our school provides a challenging, faith-filled educational experience that serves as a foundation for a life lived in service to Jesus, the Church and the Community. For more information, please visit school or their website to find out more.